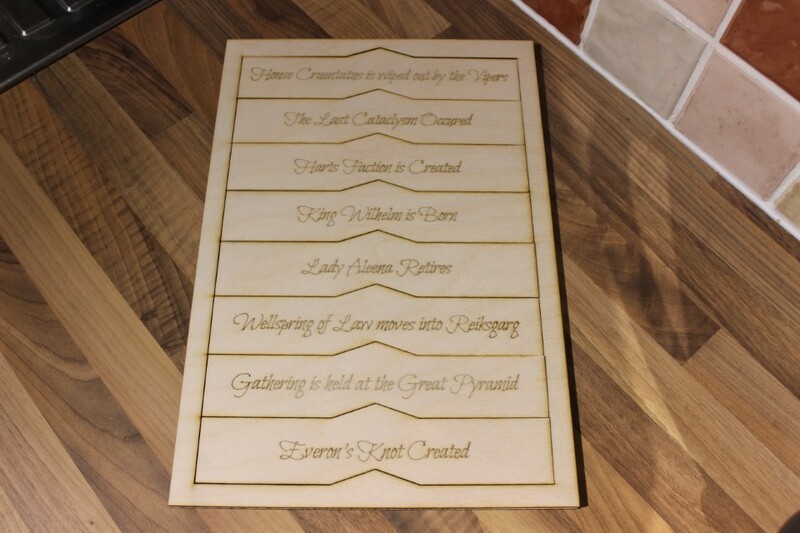 A quick tray puzzle I was asked to make for a LARP event. I assume once all the events were placed in order some kind of secret was revealed. 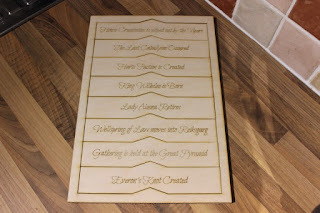 The arrows ensure that the pieces are put in the right way round and show which direction time travels, the events were jumbled before cutting so that the grain didn't give any clues.